Home > Blog > Safety Tips > Shocking Statistics from Hurricane Harvey, and Why You Should Prepare! DKI is busy monitoring the floods in Houston and its surrounding areas, and working with our clients to ensure their safety during this tragic event. 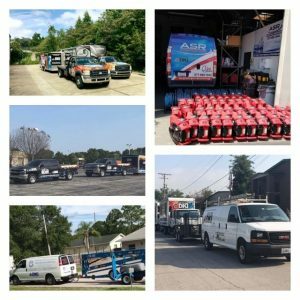 We have support from our member companies from all over the country, on the ground, to assist those impacted! As a reminder, September is National Preparedness Month. While you should be prepared all year round, it’s surprising to learn that, although 8 out of 10 Americans feel unprepared for a catastrophic event, only 1 in 10 have taken the appropriate preparedness steps (recent data from the Red Cross)! Please don’t allow a catastrophic natural disaster to sneak up on you! Prepare now! If you or your clients have been impacted by the floods, please call our 24/7 emergency line for help right away: 866-277-2977!